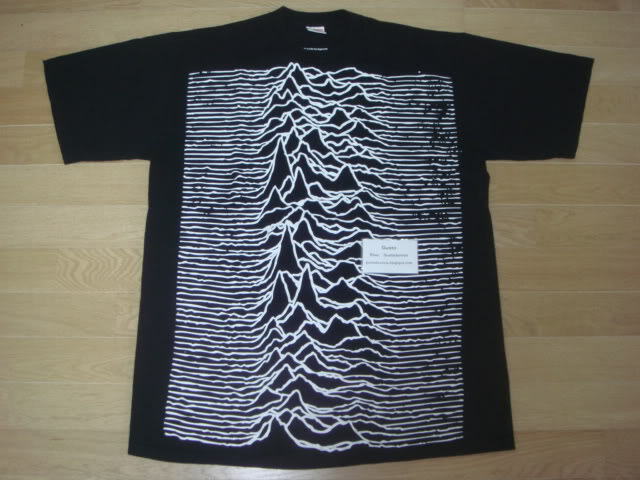 British post-punk band Joy Division’s 1979 debut album Unknown Pleasures featured artwork by graphic designer Peter Saville. What might seem simplistic or as an abstract album cover, is actually an image of how sound waves travel—how people receive the band’s message. Supreme, much like other streetwear brands, often acting as the transmitter and having its clothing be the sound waves that are interpreted. Also, the collection featured a tee from New Order's Blue Monday artwork also designed by Saville.